Looking for a garage apartment plan to blend with the architectural styling of your Craftsman home? 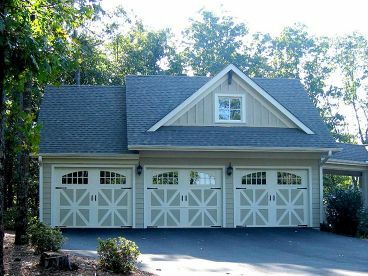 This 3-car garage with living quarters above might be the one for you! 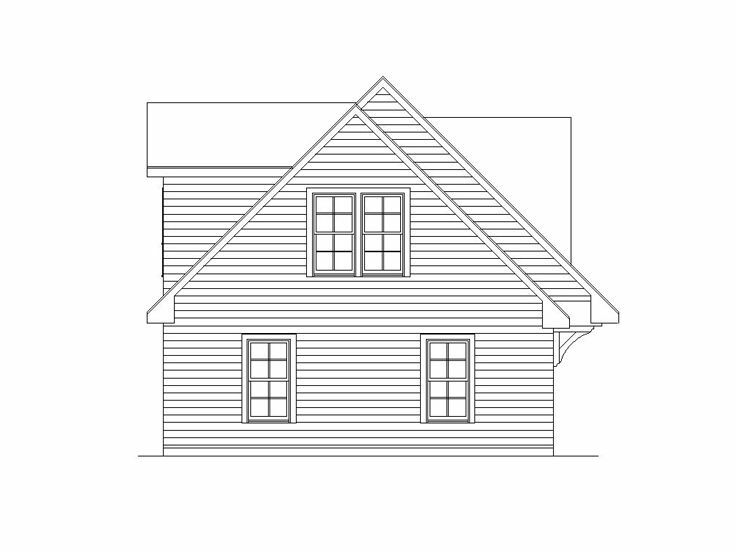 Arts and Crafts flair accents the exterior lending charming street appeal. 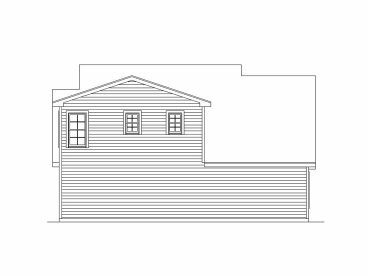 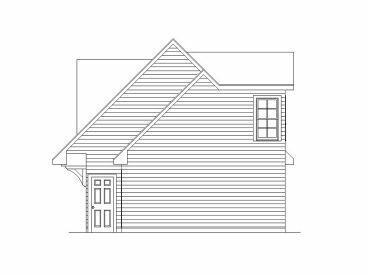 Three overhead garage doors open to 770 square feet of unfinished space, perfect for parking three automobiles, storage space for basement or attic overflow or even a workshop if you prefer. 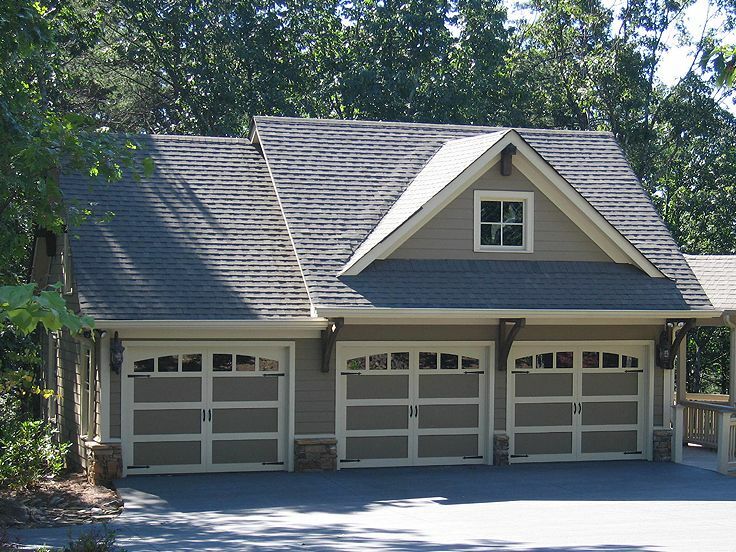 The individual garage doors allow you to use each bay for a specific purpose if you choose. 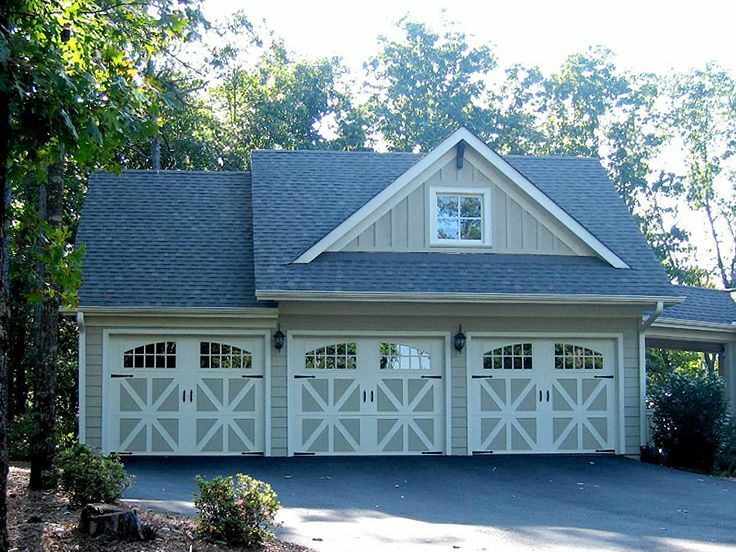 Don’t miss the convenient service door lending easy access to the garage. 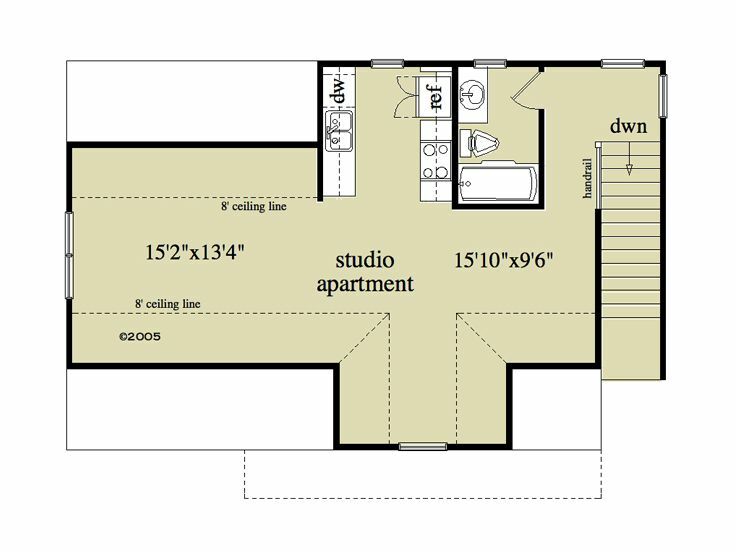 Interior stairs point the way to the 614 square foot studio apartment on the second floor. 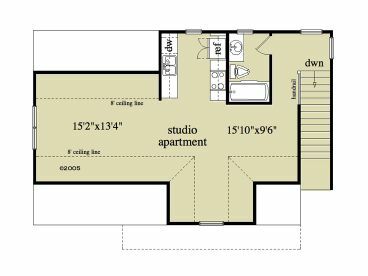 This open floor plan works well as living quarters for a renter, overnight guests, the in-laws or even the nanny or grounds keeper. 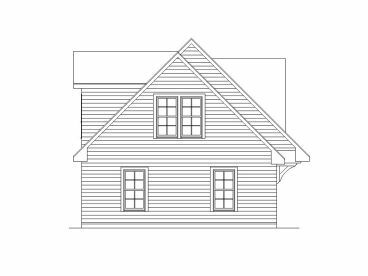 A full bath and modest kitchen are practical for such and efficient space. 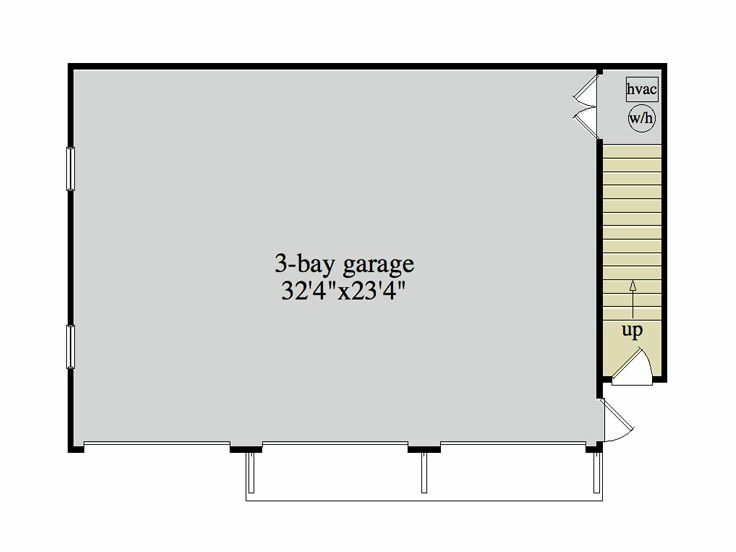 Or, if you wish, convert the living quarters to a game room, family room or office for a home based business. The space is flexible enough to satisfy a variety of needs. 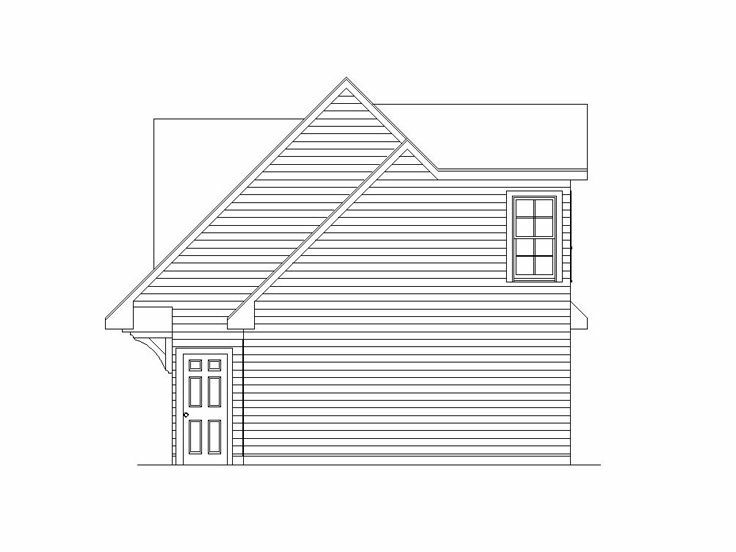 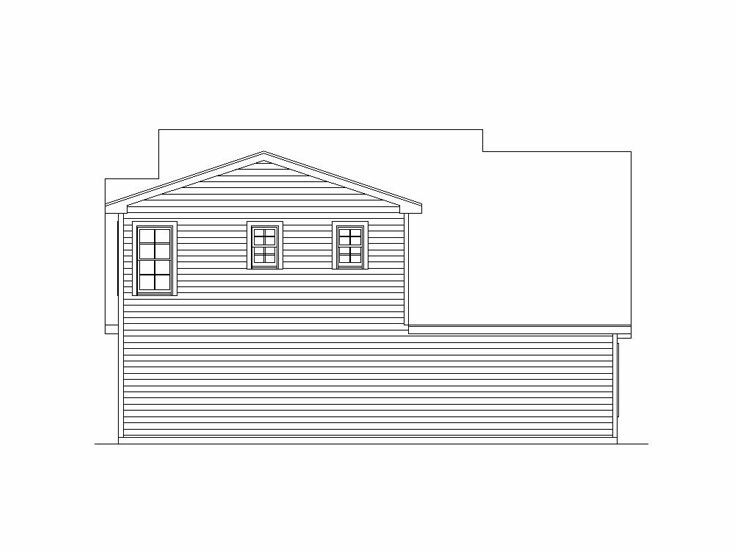 Practical and economical, this stylish carriage house plan is a valuable addition to any home!